3 David I. Rozenberg Famous Sayings, Quotes and Quotation. 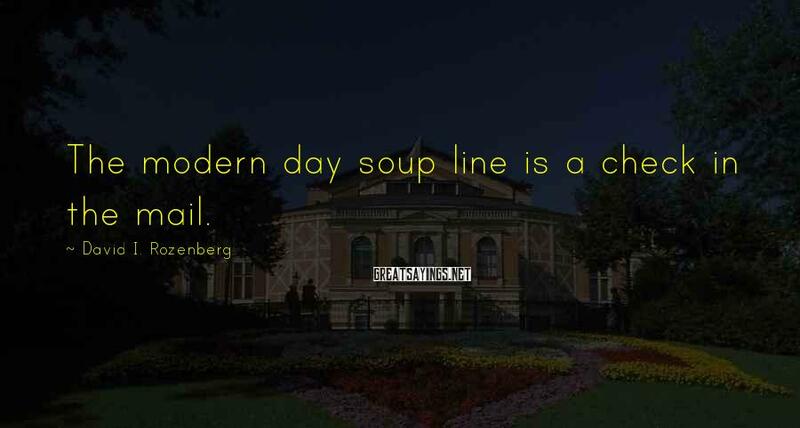 The modern day soup line is a check in the mail. 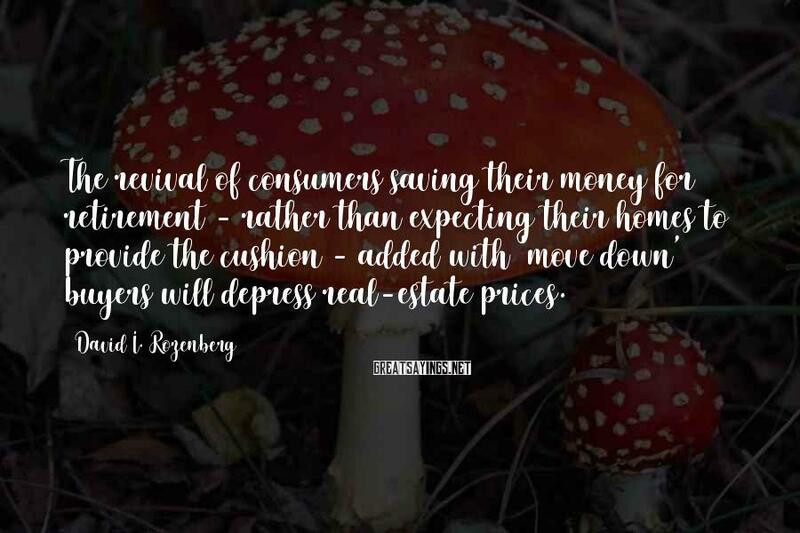 The revival of consumers saving their money for retirement - rather than expecting their homes to provide the cushion - added with 'move down' buyers will depress real-estate prices. 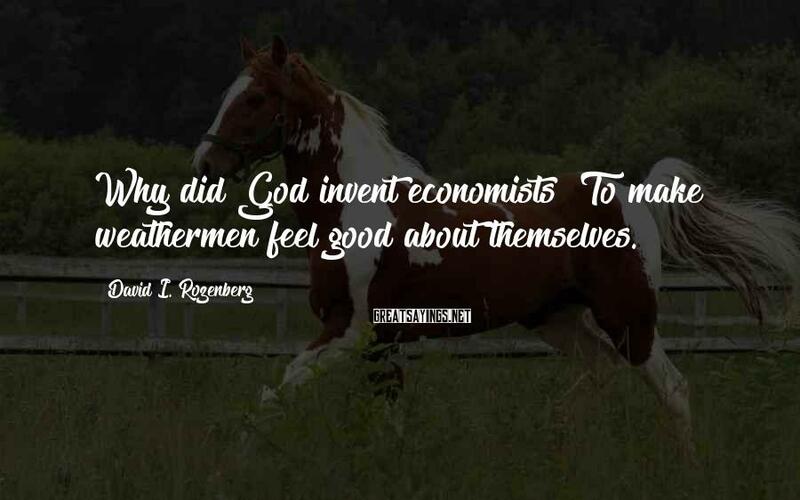 Why did God invent economists? To make weathermen feel good about themselves.